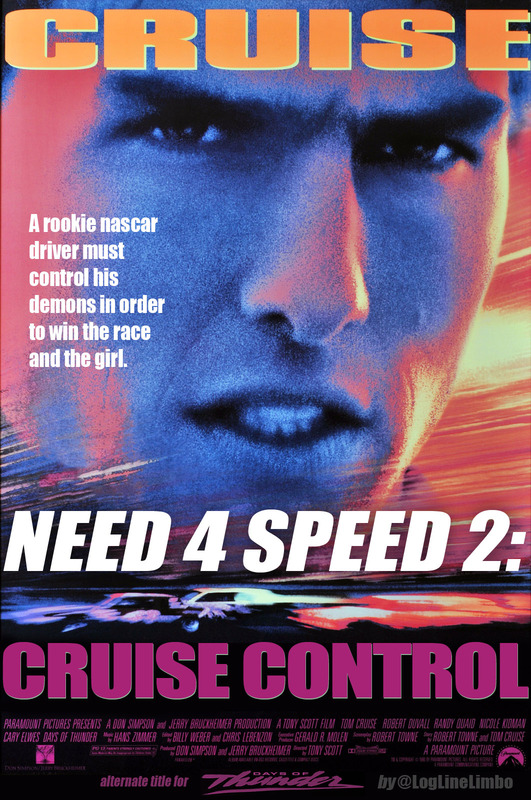 Days of Thunder (aka Top Gun 2) should have been called “Need 4 Speed 2: Cruise Control” | ZigZorg! This entry was posted in DuenasFilms, Photos and tagged action, action movie, Days of Thunder, EA Games, Hans Zimmer, jerry bruckheimer, LogLineLimbo, movie, Movie Poster, Need 4 Speed, Nicole Kidman, Poster, Tom Cruise, Tony Scott, Top Gun. Bookmark the permalink.